Located in Tilal el Assal, Kfardebian, PODIUM is at the heart of Faraya, one of Lebanon’s most frequented ski resort areas. Planned as a summer and winter retreat, the project consists of 18 chalets sized from 64 to 134 sqm. All of the chalets benefit from an outdoor space, either a terrace or garden. The overall design strategy involved the development of a project that would effectively respond to the program and building regulations. 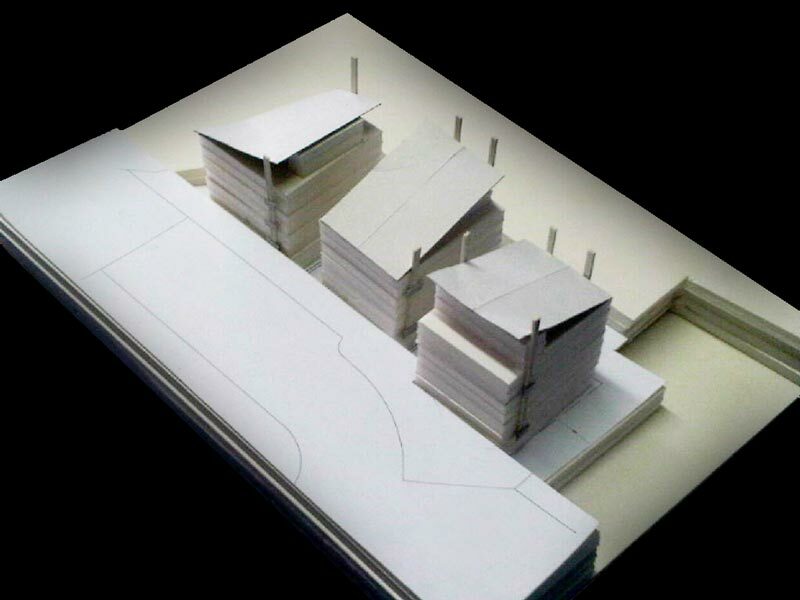 The 3 blocks that hold the 18 modern living chalets have a dynamic relation to the surrounding environment. The 3 boxes open up at the top towards different parts of the landscape. Wooden louvers on the main façades give residents privacy, while allowing an expanded view of the surroundings. Double sided fireplaces are shifted towards the outside. Their transparency and the varying heights of their chimneys give a dynamic effect to the façade.